Whether you’re a true blue college sports fan or just someone who participates in an office pool, following the March Madness basketball action can be a lot of fun. And thanks to streaming video technology and the Internet, it’s never been easier to enjoy. 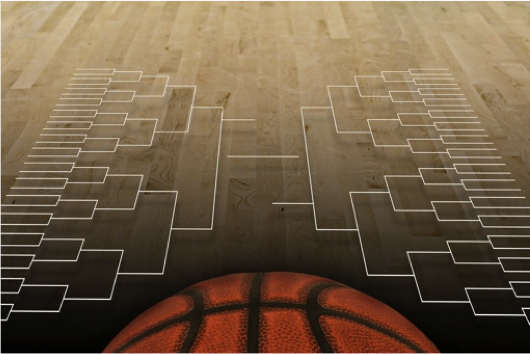 The best place to start for your hoops fix is the official NCAA March Madness website. There, you’ll find brackets, live streams, news, video, schedules, tickets for sale and more. You’ll also be able to stream live action when the tourney starts on March 17 over at the CBS March Madness website. Note that you’ll need to authenticate with your cable TV provider to watch games that are airing on the TBS, truTV or TNT networks on the NCAA site; games televised by CBS should be available for free. If you’re not a cable TV subscriber, you can still catch a huge amount of NCAA hoops coverage on YouTube’s March Madness channel. The page will feature pre- and post-game shows, highlights and more. You’ll also be able to relive the best plays and moments from the 2014 tournament. On the go? Then check out the NCAA mobile app for Apple iOS and Google Android. It promises to offer live video, customized scoring and upset alerts, team pages with social media feeds and the NCAA Top 100, a live ranking of the top 100 favorited schools. Again, you’ll need to be a pay TV subscriber to get the good stuff.